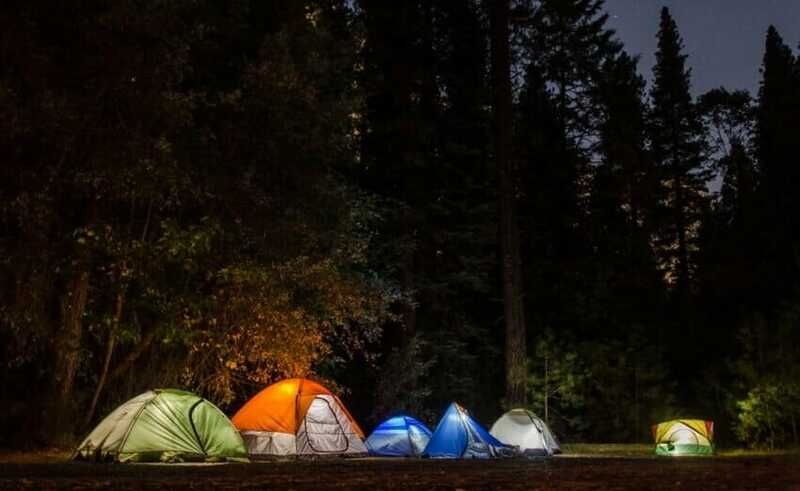 Camping has seen a boost in popularity in recent years with a whopping 77 million American household members camping occasionally during a year, according to the 2018 North American Camping Report. Furthermore, 52 percent of those campers have children so if you’re someone thinking of camping for the first time with your kids, there’s no need to panic about what you should know to be a happy camper. There are many benefits of family camping but much of it is about being prepared and knowing some simple hacks to make it a stress-free time for all the family to enjoy for years to come. While new campers often have to learn the hard way, there are ways to avoid common pitfalls by preparing for your trip before you even leave home. People often go overboard on buying new equipment without knowing how to use them or may not necessarily need. A way to combat this is to order subscription boxes for your adventure to familiarize yourself with all the essentials in one go and learn from industry experts exactly what you need for a camping trip. Additionally, borrowing a tent to put up in your backyard and sleep in it for the night to find out if it’s the right size for you all to fit in is also advisable. Setting up camp beforehand will also ensure everyone knows how to use a stove, light a fire and use all the equipment correctly. While it’s a good idea to be covered for all eventualities, especially with the kids in tow, it’s also all too easy to over-pack and bring items that you don’t necessarily need! Consequently, arranging storage for all your camping supplies beforehand is essential to being organized when you turn up to the campsite. Invest in clear plastic tubs which are clearly labeled to avoid any confusion and are easy to spot where things are. Cooking, particularly on a campfire, can be one of the biggest challenges for first time campers so plan at least the first few meals after you’ve arrived and provide enough snacks for the kids to munch on. For a first time camping adventure, choose a campsite that is close to home so if anything does turn disastrous, you have an escape plan! It’s also very important that you arrive early onto the campsite so you have enough time to set up camp in a shady spot and organize useful camping hacks in order to make them accessible, even when it gets dark. Don’t underestimate the power of lighting and make sure that both solar and battery-powered lights are strategically placed and children each have their own torch to see in the dark. Spend the first day showing the kids where the camping amenities are so they’ll familiarize themselves with the toilets, playground and that they know the rules of the campsite. You may find your first family camping trip a little daunting but provided you are prepared, you’ll be guaranteed to have a safe and fun time creating special memories with your kids that will grow on each camping adventure you all do together.